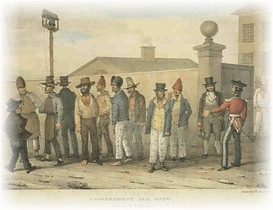 Around the beginning of the eighteenth century, English thieves' cant came to be known as flash, which became the accepted name for the vocabulary during the convict period in New South Wales, from 1788 to 1850. 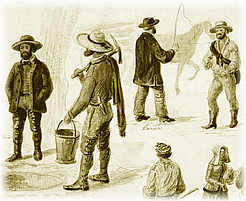 The colonial flash language has had a long journey, affected by the complex socio-cultural changes in the penal settlement in the nineteenth-century arising from increasing economic prosperity, gradual shifts in demographic composition and attitudes, and major events and disruptions like the end of transportation and the gold rush provided constantly changing backdrops impacting its use and transformation. From the sixteenth-century flash was referred to as ‘pedlars' French'. By the late eighteenth-century it was sometimes called the ‘kiddy language’, and by the early nineteenth-century as ‘St. Giles's Greek’. 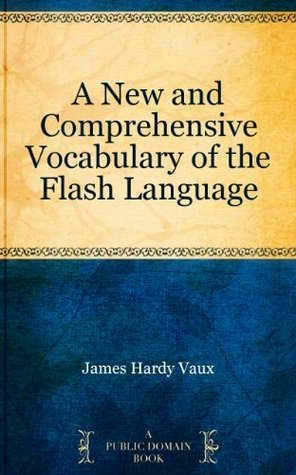 Any essay relating to the evolution and subsequent use of flash language in colonial Australia will be incomplete without a reference to James Hardy Vaux, a professional thief transported three times for various offences (the first being in 1801), who put together this dictionary, regarded as one of the important references for the English slang of the times. Vaux was born at Guildford, Surrey, in the year 1782. 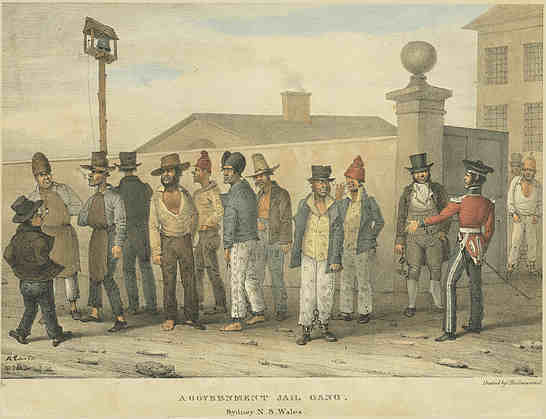 Despite being from a respectable family and receiving a decent education which endowed him with his writing skills, he appears to have had almost a fatal attraction to crime which he discusses in quite an uninhibited manner in his Memoirs, written during his ‘solitary hours of cessation from hard labour’ while in the Newcastle prison, and published in London in 1819. To Thomas Skottowe, Esq., of His Majesty's 73d Regiment, Commandant of Newcastle, in the Colony of New South Wales and one of His Majesty's Justices of the Peace for that Territory. WITH the utmost deference and respect, I beg leave to submit to your perusal the following sheets. 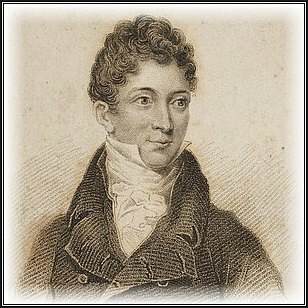 The idea of such a compilation first originated in the suggestion of a friend; and however the theme may be condemned as exceptionable by narrow minds, I feel confident you possess too much liberality of sentiment to reject its writer as utterly depraved, because he has acquired an extensive knowledge on a subject so obviously disgraceful. True it is, that in the course of a chequered and eventful life, I have intermixed with the most dissolute and unprincipled characters, and that a natural quickness of conception, and most retentive memory, have rendered me familiar with their language and system of operations. Permit me, Sir, to assure you most seriously, that I view with remorse the retrospect of my hitherto misspent life, and that my future exertions shall be solely directed to acquire the estimable good opinion of the virtuous part of the community. 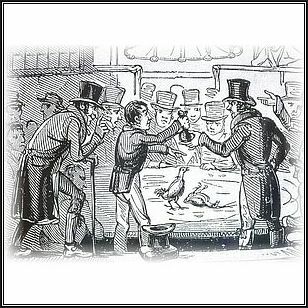 I trust the Vocabulary will afford you some amusement from its novelty; and that from the correctness of its definitions, you may occasionally find it useful in your magisterial capacity. I cannot omit this opportunity of expressing my gratitude for the very humane and equitable treatment I have experienced, in common with every other person in this settlement, under your temperate and judicious government. The Author has found it necessary to introduce frequently in the course of his definitions, technical, or cant words and phrases. This he could not avoid without much tautology and unpleasing circumlocution. The Reader will therefore take notice, that all such cant terms are placed in Italics; and where at a loss to comprehend them, he has only to refer to their alphabetical position for an explanation.